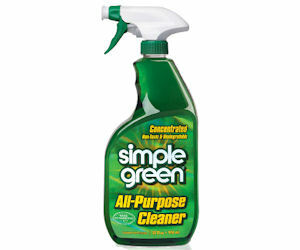 Simple Green All-Purpose Cleaner - Free at Walmart! Get a bottle of the Simple Green All Purpose Cleaner for FREE at Walmart with this deal! Unlock the $2 coupon when you share it via Tweet, Post, Pin or Email. After sharing, you can print the coupon. Then redeem it at Walmart, where the Simple Green All-Purpose Cleaner is priced at only $1.97, making this cleaner FREE after the coupon!